If you have an application block that is exceeding a normal width in a 2-column layout, you can adjust the table cell properties. 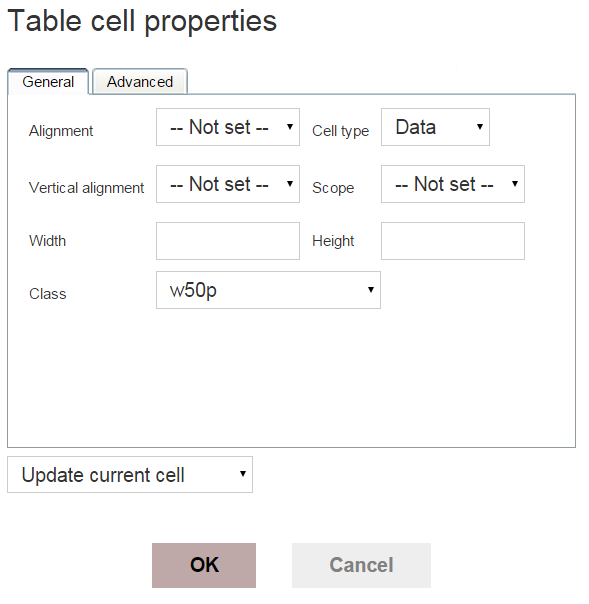 While in edit mode, right-click on the table cell and select Cell > Table cell properties. Change the Class drop-down menu to (value) and enter w50p without the quotation marks. After you save your changes, the width of the table cell will be forced to 50% of the container element.